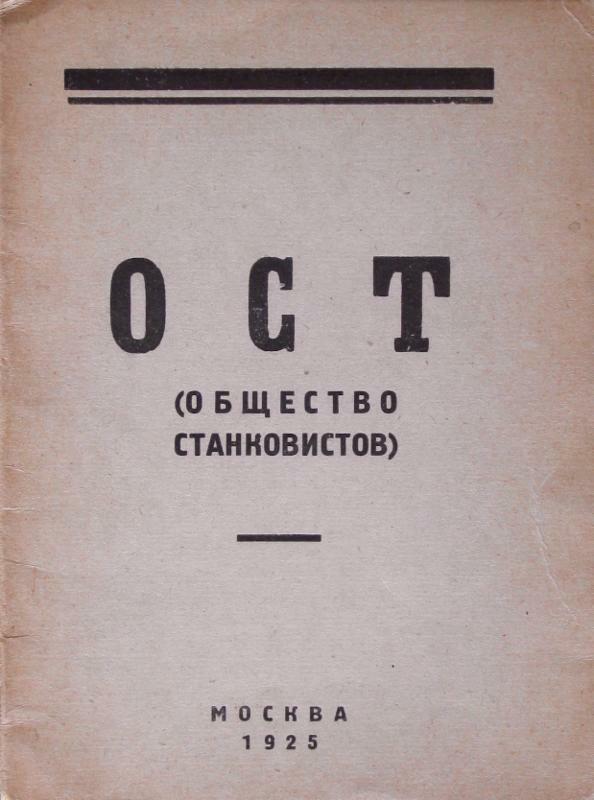 First OST exhibition opened in May, 1925 in Moscow with contributions by Kliun, Deineka, Pimenov, Shterenberg, Vialov and others. 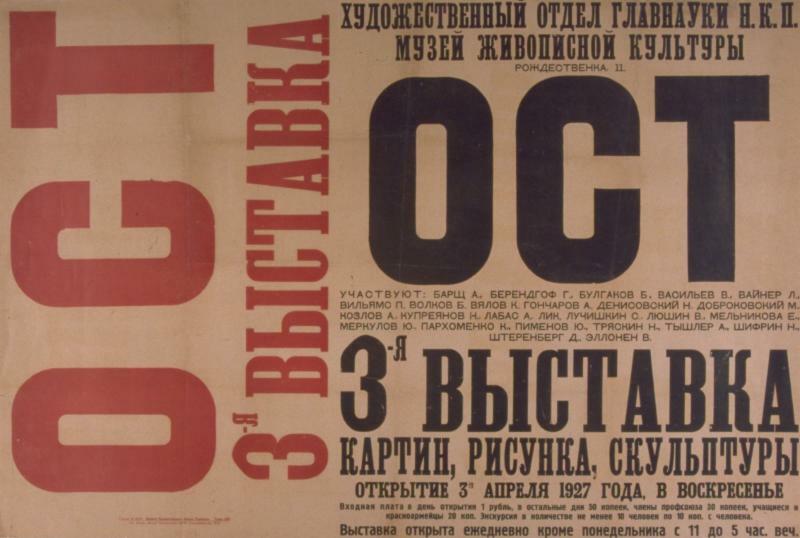 Third OST exhibition opened in April, 1927 in Moscow with contributions by Kupreyanov, Triaskin, Shifrin, Pimenov and others. 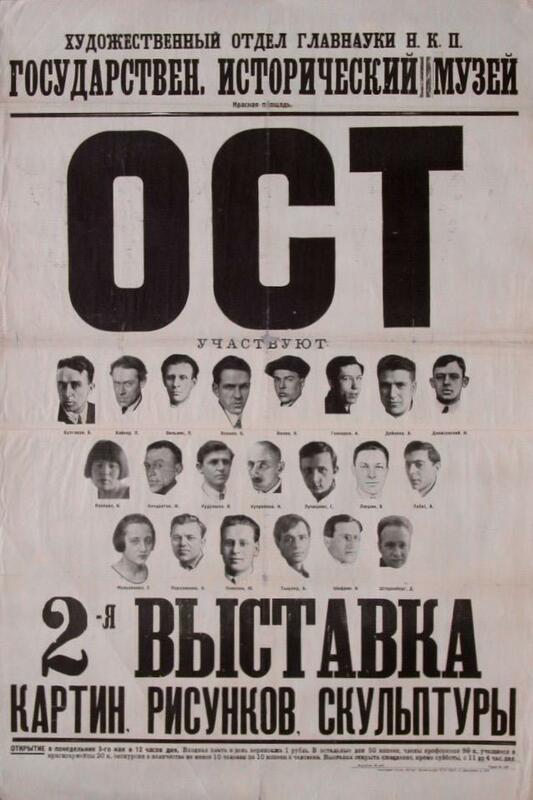 Second OST exhibition opened in May, 1926 in Moscow with contributions by Labas, Deineka, Tyshler, Vialov, Shterenberg and others. 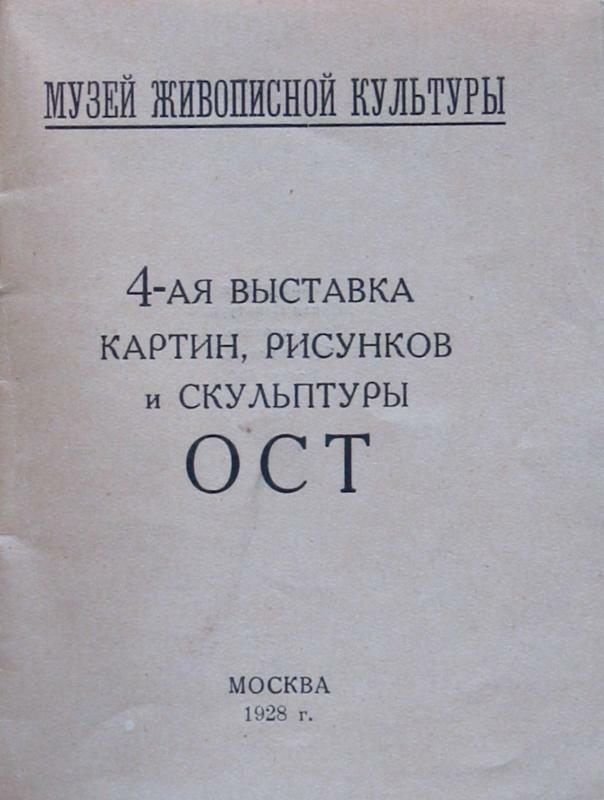 Fourth OST exhbition opened in May, 1928 in Moscow with contributions by Goncharov, Labas, Liushin, Shterenberg, Vialov, Pimenov and others. 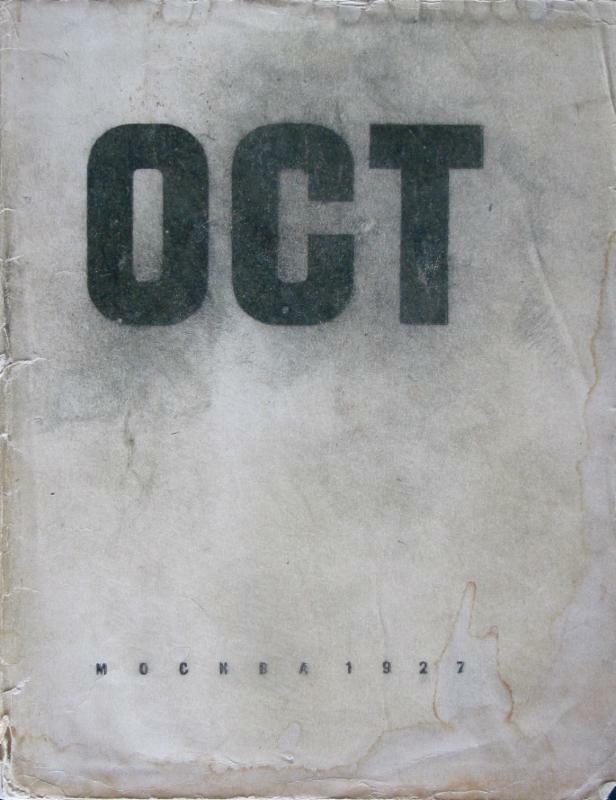 The OST Group was formed in early 1925 by graduates of Vkhutemas under the leadership of David Shterenberg. 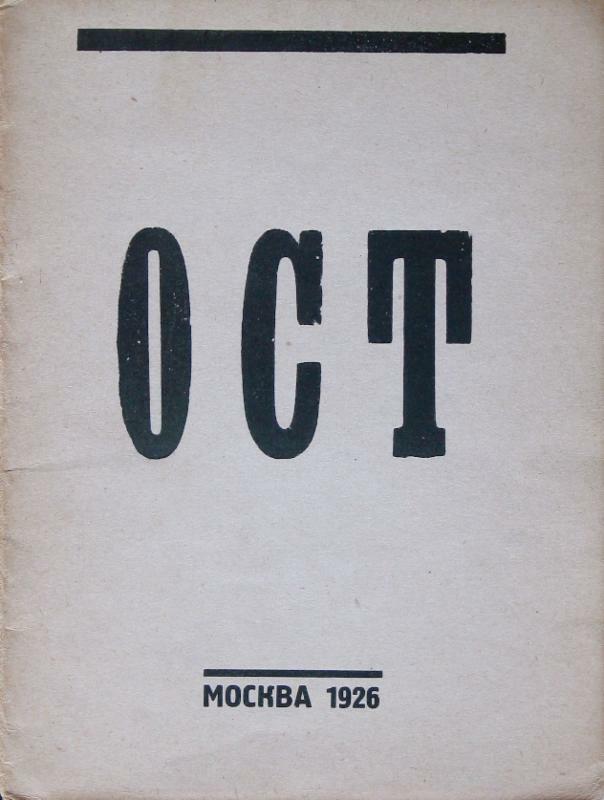 The society had four exhibitions in Moscow, 1925, 1926, 1927 and 1928. OST artists painted contemporary subjects (sports, industry, young pioneers) in a "gripping, laconic and experimental" style that was appreciably influenced by Constructivism, German Expressionism (and even Surrealism) and by Russian traditions, especially icon painting. The group split in 1931 and was abolished by formal decree in April, 1932. The OST Group has not been examined in the West as have other Russian Avant-Garde art movements. Known for its painterly visual approach, the OST style is prominent in 1920s - early 1930s Soviet poster and publication graphics. Members of the OST Group included V. Liushin, K. Vialov, A. Deineka, A. Goncharov, D. Shterenberg, A. Labas, A. Tyshler, N. Kupreyanov, N. Shifrin, P. Vil'iams, Iu. Pimenov, M. Dobrokovsky, K. Kozlova, E. Zernova, N. Denisovsky and Iu. Annenkov (founding member, did not exhibit).